Howard Weissman, executive director of St. Louis’ National Council on Alcoholism and Drug Abuse, talks about pharmacies' roles in the oppioid epidemic. “Unfortunately, even though there’s a lot of talk about [opioid addiction], there still isn’t a lot of action with respect to directing and diverting the resources to support real and effective change,” he said. Weissman said his concern with pharmaceutical companies has to do with the unregulated and unmonitored selling of the product to the public. He said pharmaceutical industries persuaded doctors that opioids were safe to use long-term. “The vast, vast majority of doctors only want to help their patients. But you cannot underestimate how much doctors have been influenced by aggressive marketing by Big Pharma,” he said. Doctors went from prescribing opioids for short periods of times to prescribing long lasting opioids for chronic conditions. But some pharmaceutical companies are trying to change that. Pharmacy benefit manager company Express Scripts has its own opioid initiative. Their efforts are designed to get people off of opioid medication. This is not the first time the United States has been in an opioid epidemic. In the 19th century, wounded soldiers from the Civil War became dependent on morphine. Heroin then became introduced as the cure to morphine addiction. Weissman said increased legislation helped curb that epidemic, including the Pure Food and Drug Act and Harrison Narcotics Act. Missouri is the only state that doesn’t have an official prescription drug monitoring program. Gov. 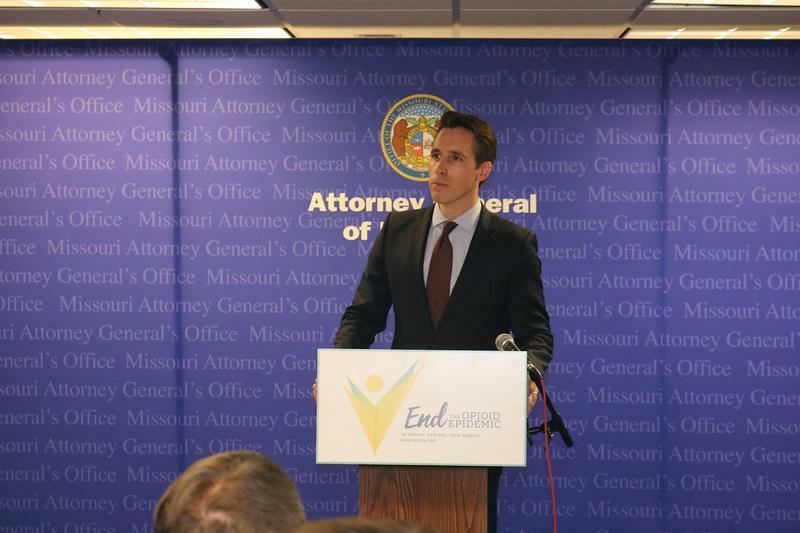 Eric Greitens signed an executive order to establish a state-wide database using Express Scripts data. The program determines what doctors or pharmacies are dispensing large amounts of opioids, but it doesn’t track patient information, which doesn’t help in preventing doctor shopping. However, Weissman said he approves of St. Louis County’s program established by St. Louis County's health director Dr. Faisal Khan. “But until Jefferson City gets its act together and passes a state-wide program, we’re going to continue to be a national embarrassment,” Weissman said. Host Don Marsh talks with St. Louis' NCADA executive director Howard Weissman about the pharmaceutical industry's role in the opioid epidemic.